Johannesburg - When it seemed Kelly Khumalo’s love affair was going somewhere, everything has gone up in smoke, again. When she started dating producer Chad, spotting an engagement and rumoured to might have tied the knot, all seemed well, until now. It was just over a month ago when Chad shared a picture of the day these two met saying 2019 is their year. What could have possibly gone wrong? “But clearly, things didn’t go his way. He’s heartbroken.” Another source said Kelly’s ancestral calling may have played a role in the couple’s break-up. 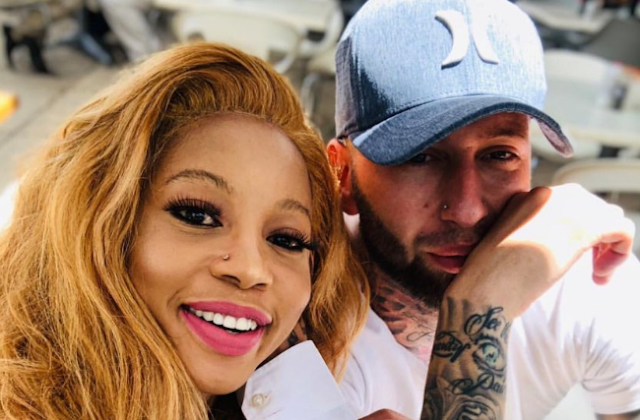 Chad’s Instagram followers also expressed their curiosity about the lovers’ possible split. Posted Cadewaphilly: Now we can see gore there’s something really going on. You look miserable without her but what do I know... Good luck. Posted Viletkhanyetsi: I can’t see even one picture of Kelly Khumalo in your page, why? Posted Misskayn06: Praying for you and @kellykhumalo to work things out. “Speaking as his manager, I can tell you that Chad will always love Kelly. Kelly is always close to his heart, he cares for her. Whatever they’re going through, I hope they’ll sort it out. “People must stop trying to find anything negative about others. Kelly is very busy with her projects, Chad as well.